Tony Guttmann was one of the original architects of AMSI and together with Jan Thomas wrote the original EoI proposal to the Victorian Government for an STI grant in 2001. This was followed by the preparation of the full Business Plan and the final success of the application. This process involved very significant negotiation with the future Joint Venture Partners in order to produce a proposal of truly national benefit. Tony followed this with the negotiation and project management of the University of Melbourne’s fit out of the AMSI offices. He also negotiated the provision of the University’s legal and administrative services in setting AMSI up. 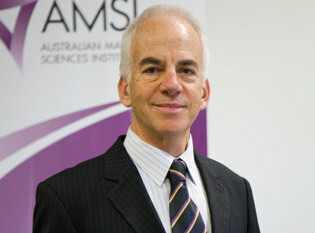 During this period Tony was AMSI’s interim director and was heavily involved in establishing AMSI’s board. He can take the credit, along with Jan, for the many aspects of the formation of AMSI. Tony followed this by becoming the Director of MASCOS and leading its long formal partnership with AMSI. As MASCOS Director he has been an active AMSI board member ever since and has given indispensible advice to successive AMSI Directors. Recently he has been heavily involved in the planning phase of the proposed national research institute in the mathematical sciences.